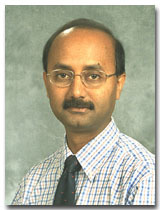 Dr. Habib received his PhD in Pharmaceutics from University of Alberta in 1987. He also obtained affiliations from American Association of Colleges of Pharmacy(AACP), American association of Pharmaceutical Sciences(AAPS), CRS, Rho Chi Pharmaceutical Society, American Pharmaceutical Association (APhA). Liposomal & Polymeric Drug Delivery. Pre-formulation and Formulation. Solid dispersion Technology. Stabilization of Drugs.